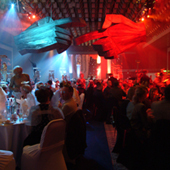 This event was most certainly on the larger scale – a ‘Heaven and Hell’ themed evening attended by around 450 people for a corporate client at the CIS building at New Century House, Manchester. 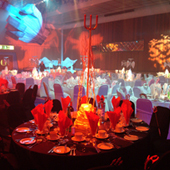 Using a mixture of fabrics to compliment the ‘Heaven and Hell’ theme in reds and whites, mainly lycra, we worked closely with the event management team to tight deadlines to successfully supply and install the linens and fabrics we provided – the evening was a great success! 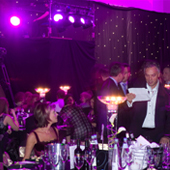 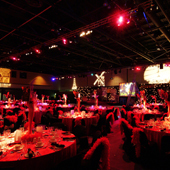 This event was held at the Ricoh Arena in Coventry and was as attended by 400 people. 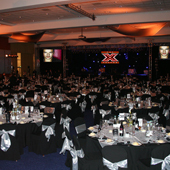 The evening was ‘X Factor, with the winner Shane Ward singing throughout the event. 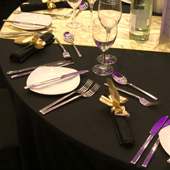 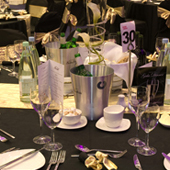 The fabrics used were black and silver lame, with extras including napkins, tablecloths and chair covers. 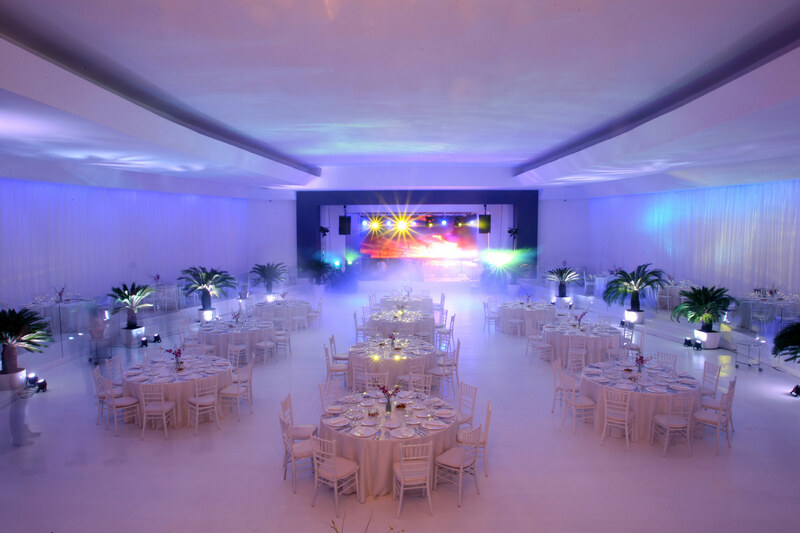 The overall effect was magnificent! 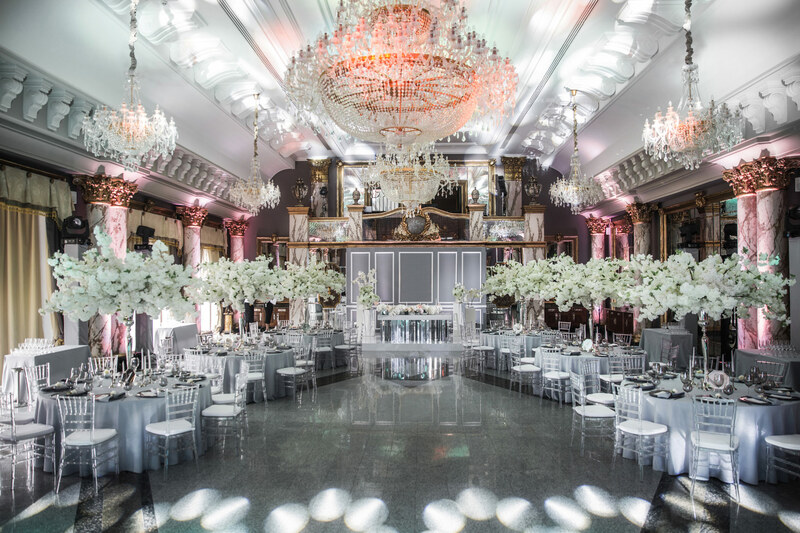 With the use of cream brocade and floral textures, this wedding was simply stunning! 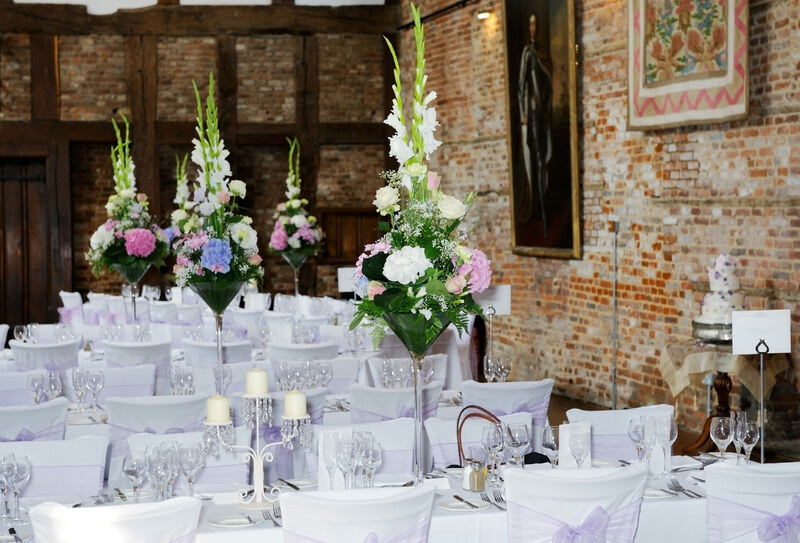 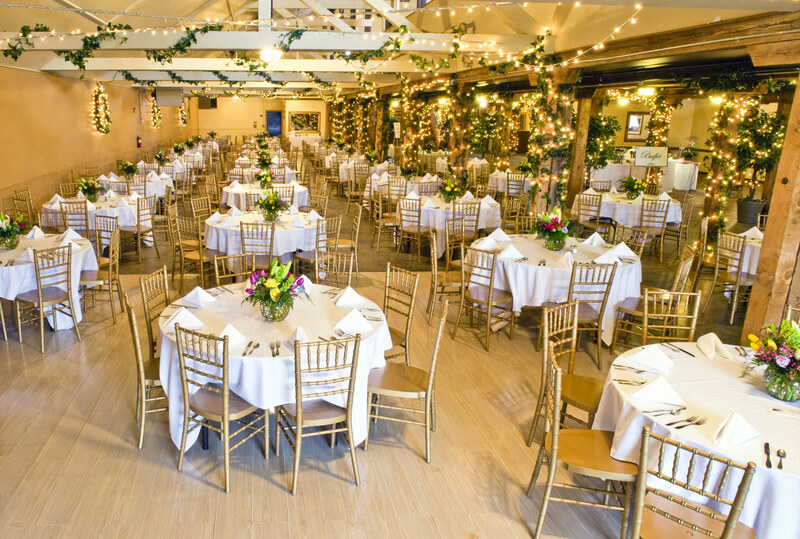 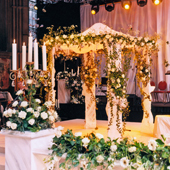 The Linen Hire supplied items for the ceremony and the evening reception, with a very quick turn around for the celebrations. 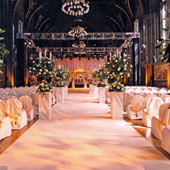 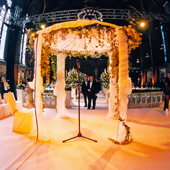 The wedding was held at Manchester Town Hall and was certainly one to remember! 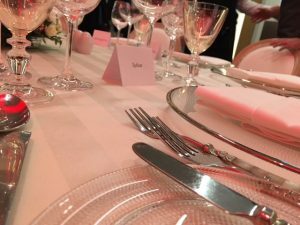 For special dining occasions, you can use our luxury range, to transform any room and any event into something spectacular. 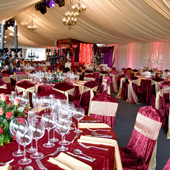 With the right choice of fabric and correct use of colour, anything can be achieved. 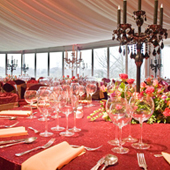 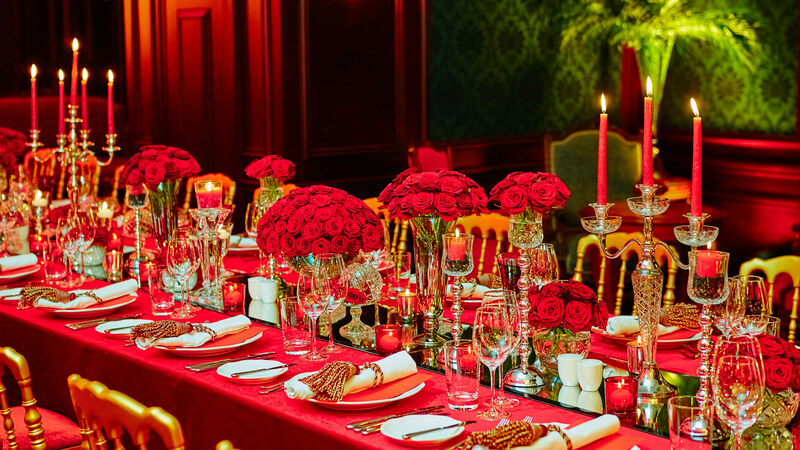 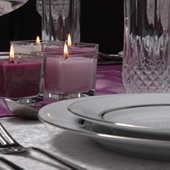 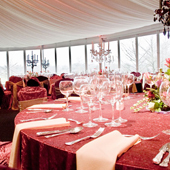 Why not surprise your guests with the wow factor for your dinner party or intimate event. 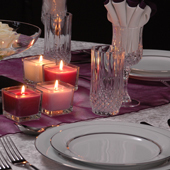 We work closely with couples to make to sure they get a party to remember. 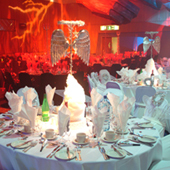 Whatever your theme and colour scheme we can advise and supply. 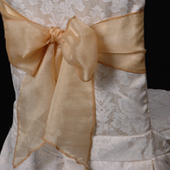 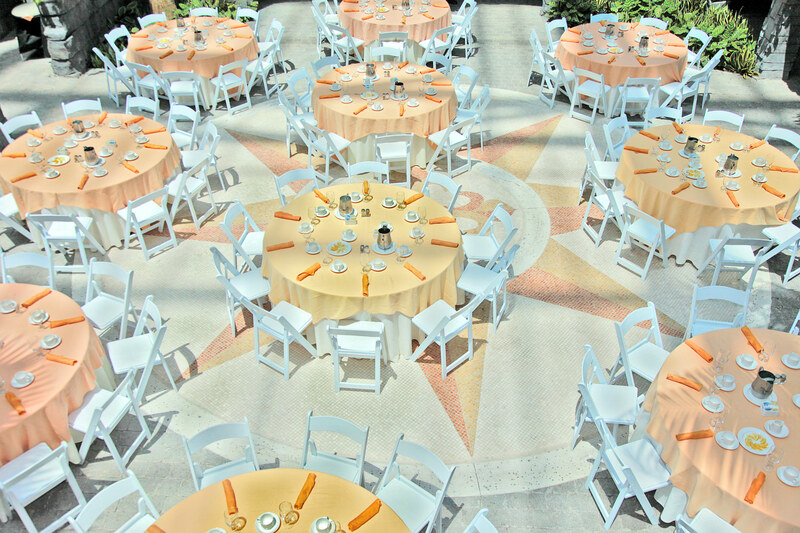 We supplied napkins, tablecloths, chair covers, and chair sashes to make this couples engagement one to remember. 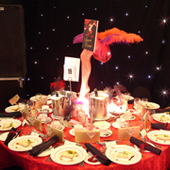 This ‘Moulin Rouge’ themed charity event was hosted by a corporate company, with the linen supplied by us. 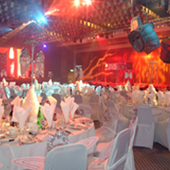 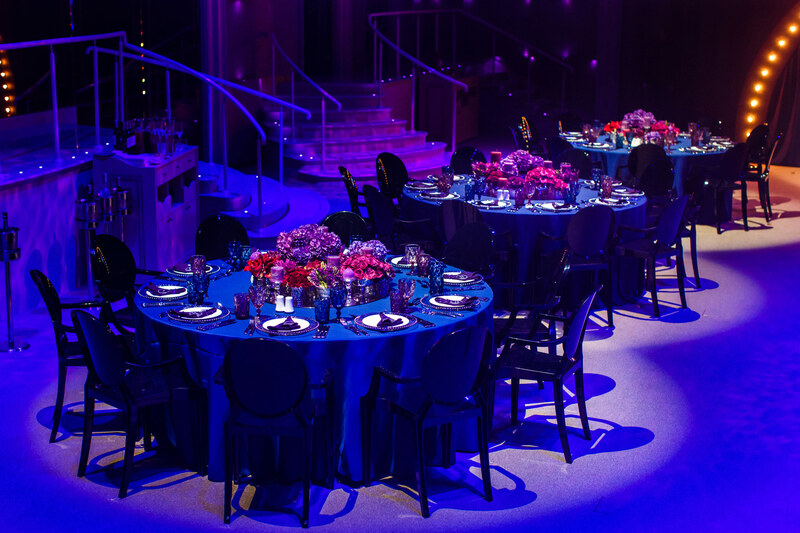 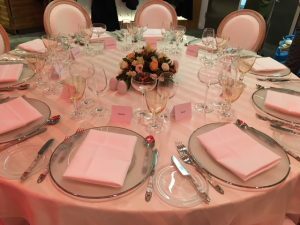 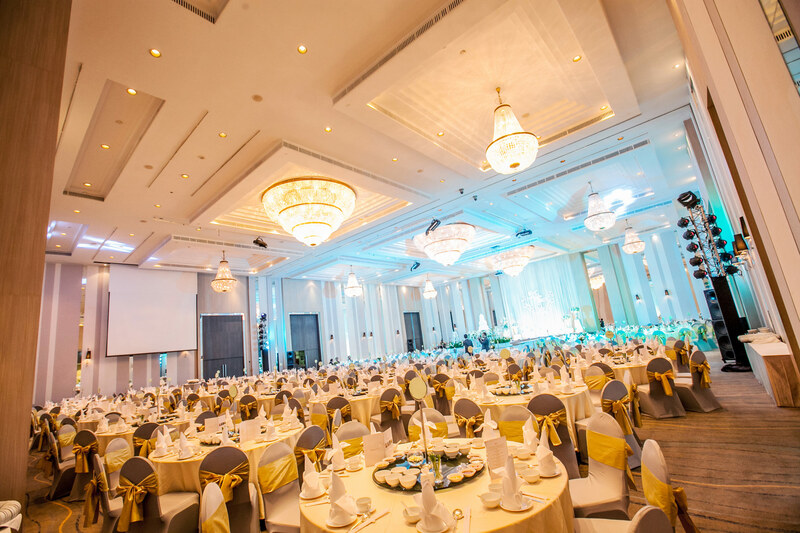 We supplied napkins, chair cover, tablecloths all in sumptuous fabrics to compliment the theme and bring the event to life. 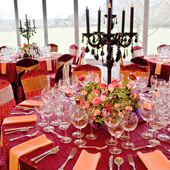 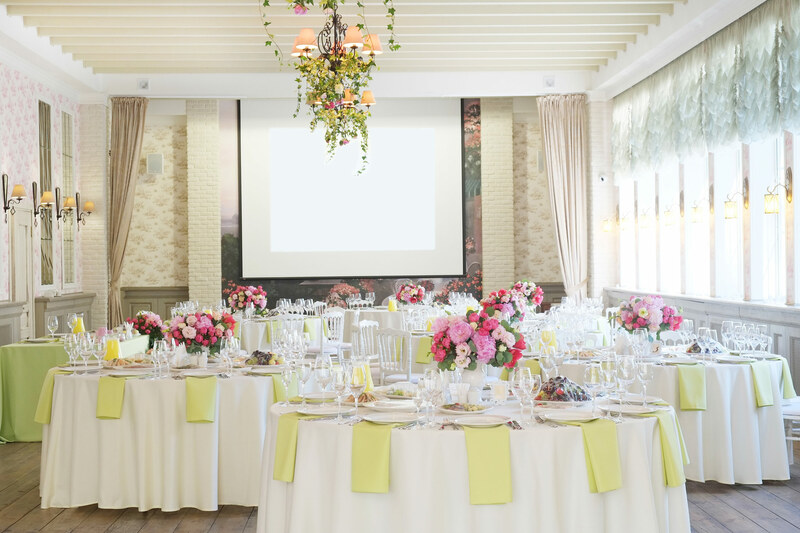 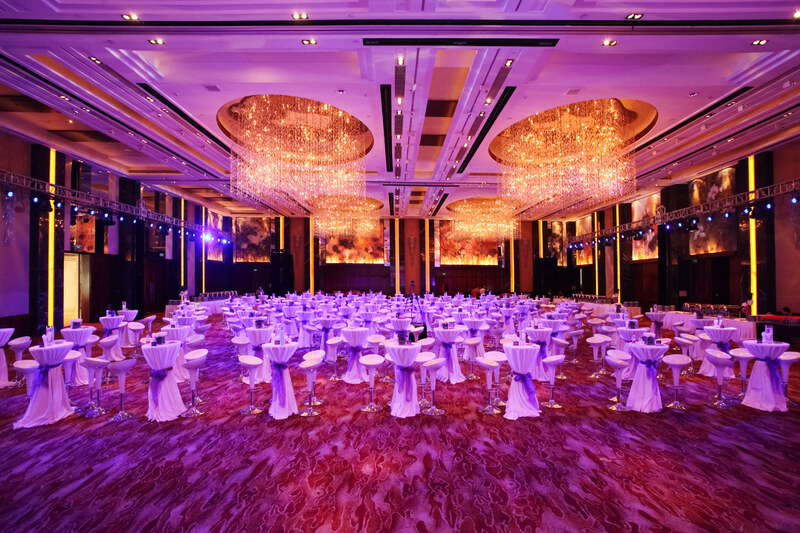 We can advise on any event to help you get the look you want to achieve.